FREEHOLD, N.J. - April 4, 2018 - PRLog -- One of the greatest honors chefs aspire to receive is an invitation to "perform" at the James Beard House, the former Greenwich Village townhouse of the late and celebrated cookbook author and television personality James Beard. The James Beard Foundation's mission is to celebrate, nurture, and honor chefs and other leaders making America's food culture more delicious, diverse, and sustainable for everyone. Esteemed chefs are chosen to present a meal including several hors d'oeuvres and five courses paired with select accompanying wines to the most distinguished palates of Foundation members and guests. For many chefs, this is a once in a lifetime event that celebrates their personal culinary accomplishments and their craft. Christopher Dutka, chef and owner o 618 Restaurant in Freehold, New Jersey, will take his well-deserved place in the footprint of other legendary chefs at the James Beard House on April 25, 2018, with his exceptional menu "Spring Fling in Jersey." "I have cooked for many people over the years and their smile and gratitude is why I do what I do. I now have the privilege of being invited to cook at the James Beard House. I am beyond grateful and honored to cook where so many great ones have cooked before." "When you put your heart and soul into something, it's not your job but your passion. It's what moves you, gets you up in the morning, it motivates you to work harder and be the best you can be," Chef Dutka said. "Am I nervous? Oh hell yeah, but it is that energy that makes me rise above and fuels my adrenaline to be the best I can be." "I hope to see many of my friends, family, and clients over the years at this very special dinner on behalf of618." So, what's on Chef Dutka's "Spring Fling in Jersey" menu? 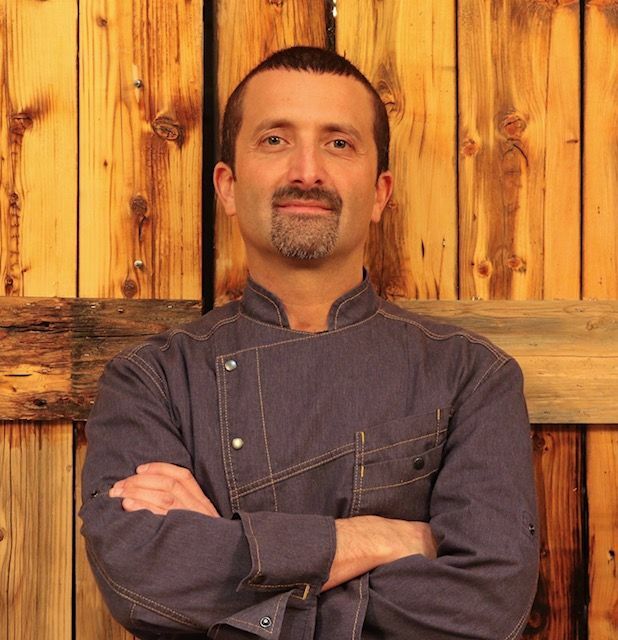 Chef Dutka will be taking a team of six people who have helped propel 618 (http://www.618nj.com/) and his catering business, Christopher's Kitchen (https://www.cateringservicenj.com/), to the James Beard House to assist him in this performance. "My theme is 'Spring Fling in Jersey.' I will be using early spring foods that are local and seasonal like Jersey scallops, tilefish and fluke and Beyond Organics vegetables. I have a great deal of experience from my early years in South Florida down in Fort Lauderdale, Boca and in the Florida panhandle so my entrees reflect a wide variety of Caribbean, Mediterranean, and Spanish influence." Dutka is the chef and owner of 618, a beautiful 175 seat restaurant, bar and 180 seat banquet hall in Freehold offering a menu featuring seasonal and local ingredients with a creative flair. Concurrently, Dutka also is the chef and owner of Christopher's Kitchen, an upscale off-premise catering company that specializes in natural hand-crafted foods. Christopher's Kitchen hosts small intimate events as well as large weddings and corporate events.